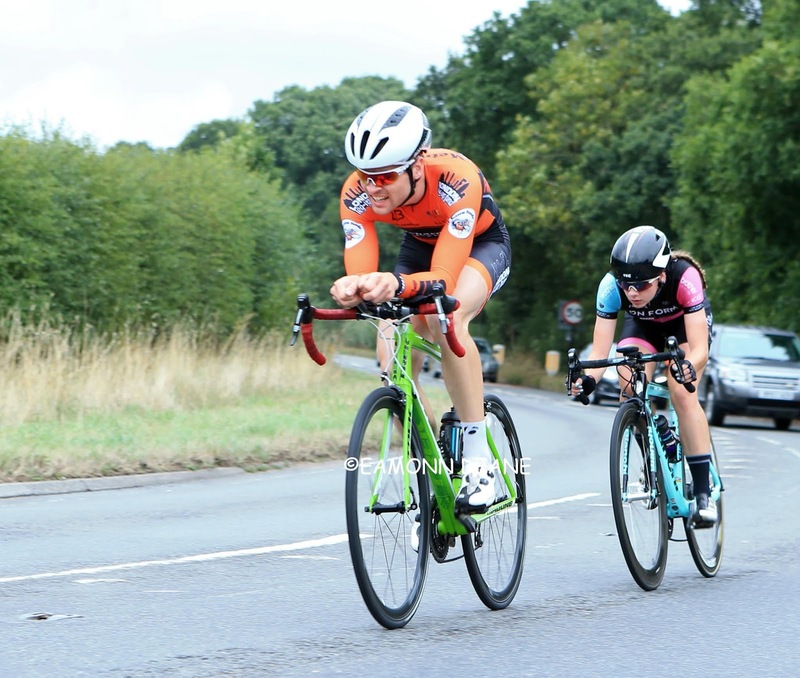 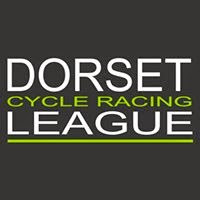 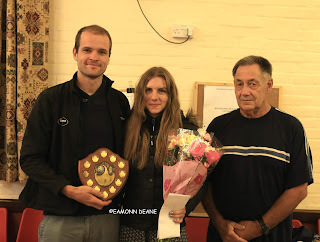 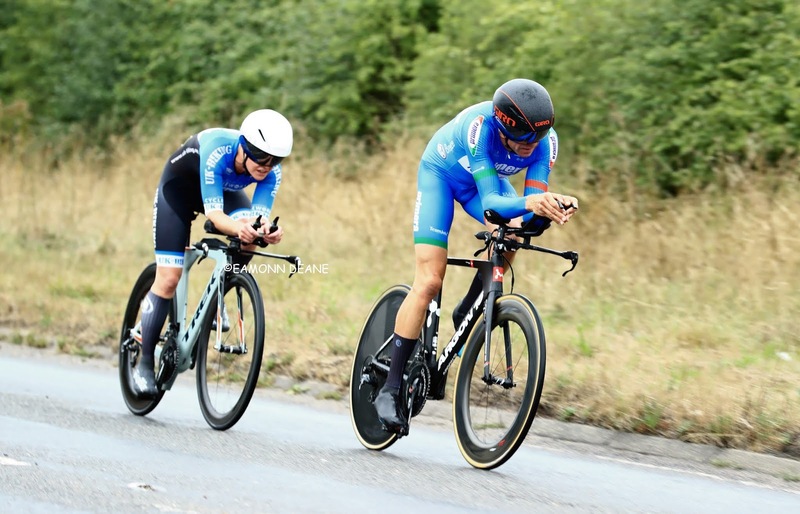 Jessica Finney & Jamie Caldwell (Cycle Team OnForm/Portsmouth North End) won the Bournemouth & District Womens CA Two-Up 10 on a blustery afternoon at Ringwood. 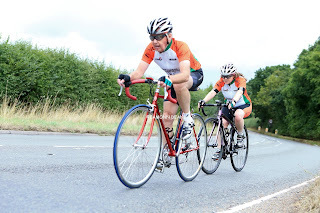 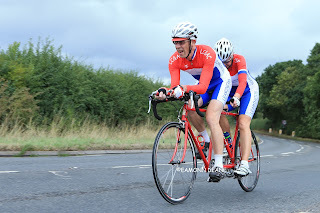 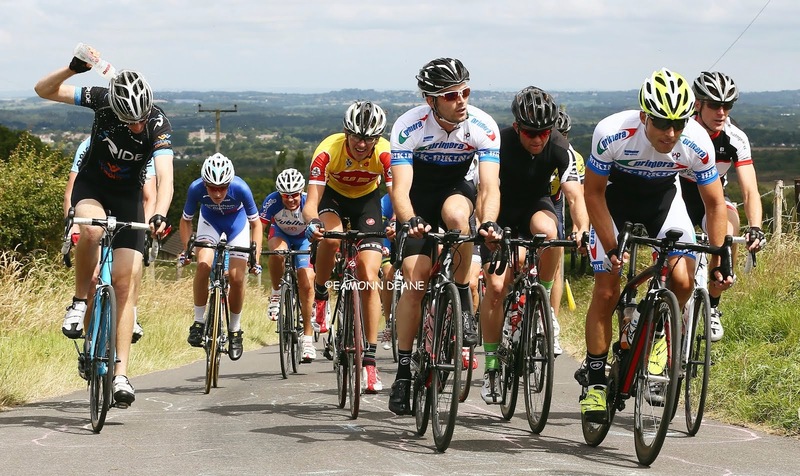 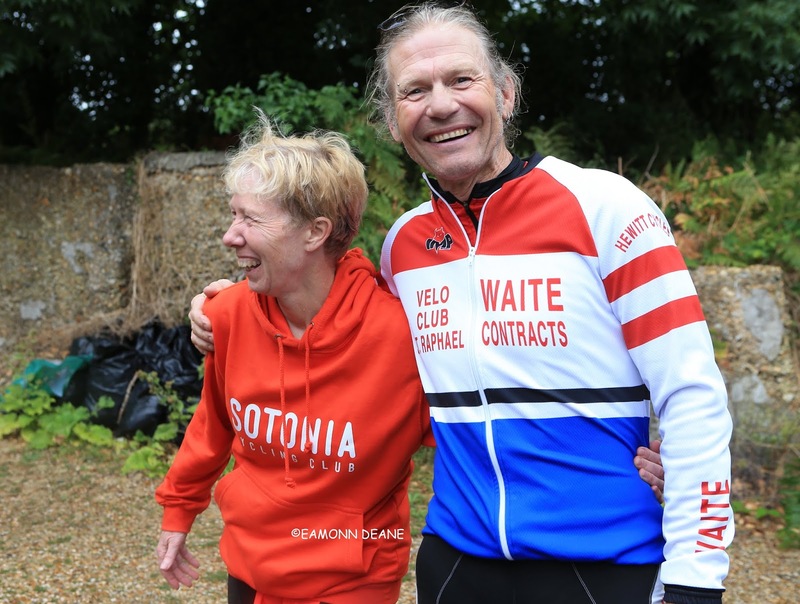 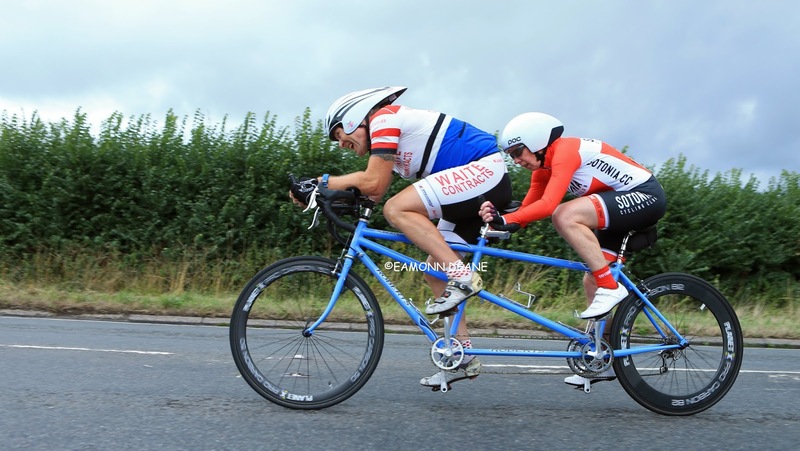 Better known for their road racing exploits the pair were both racing their first Open Time Trial and despite riding "uprights" clocked 22:57 on the "honest" P311 course. 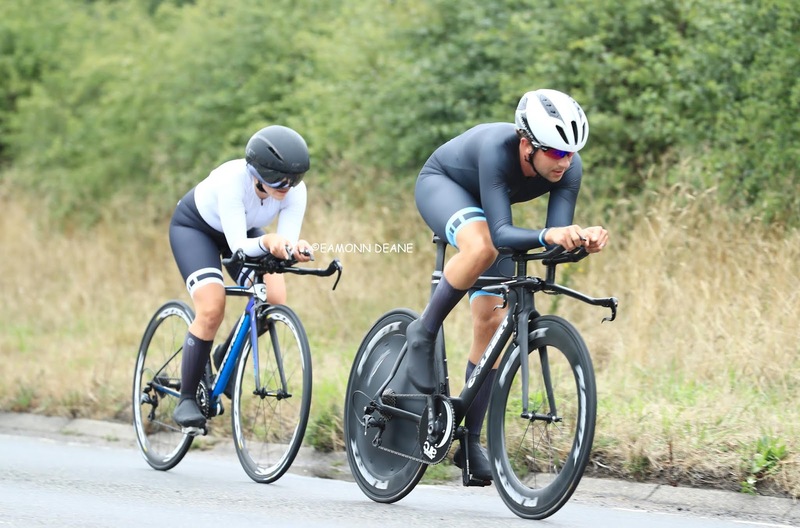 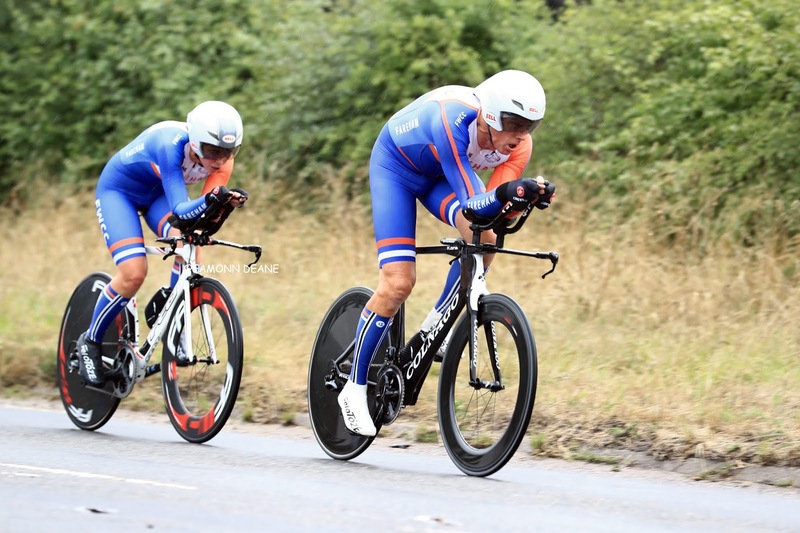 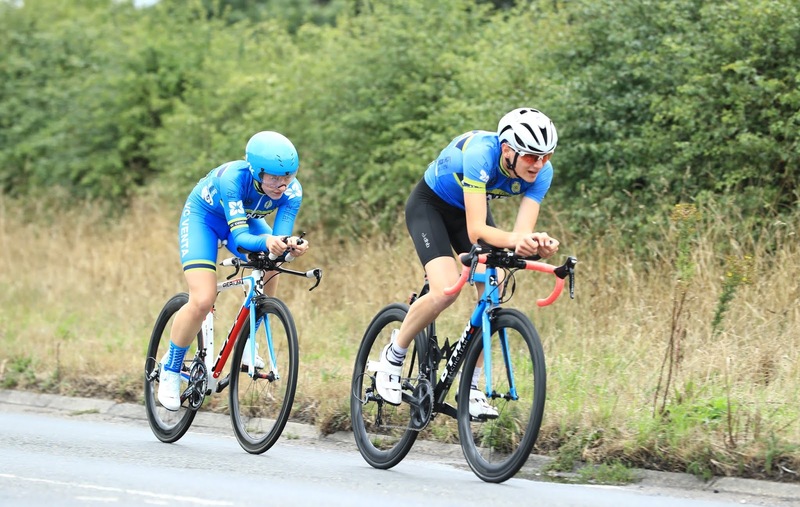 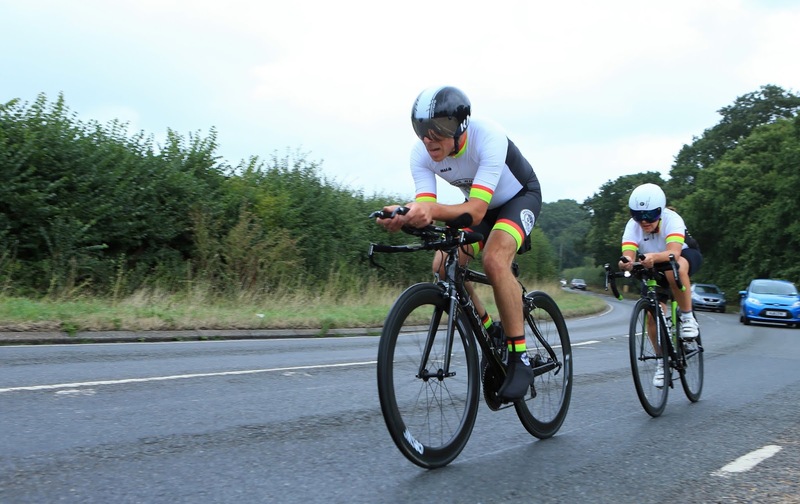 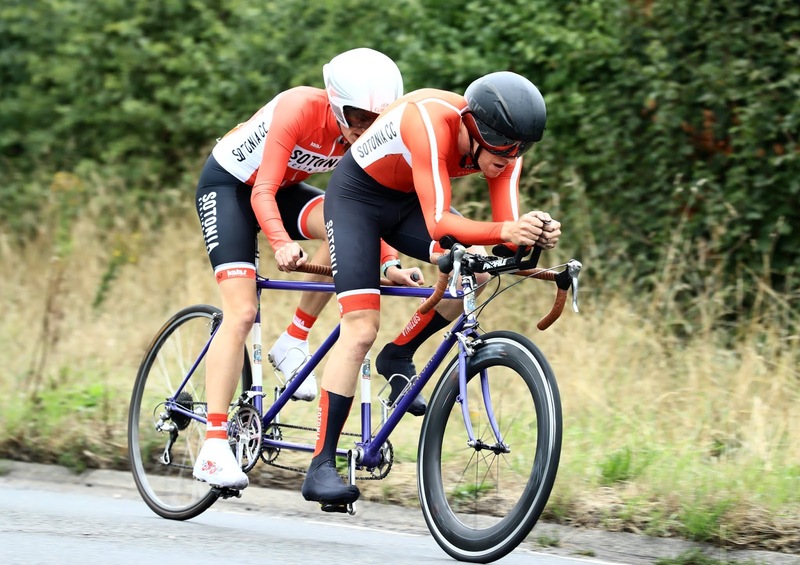 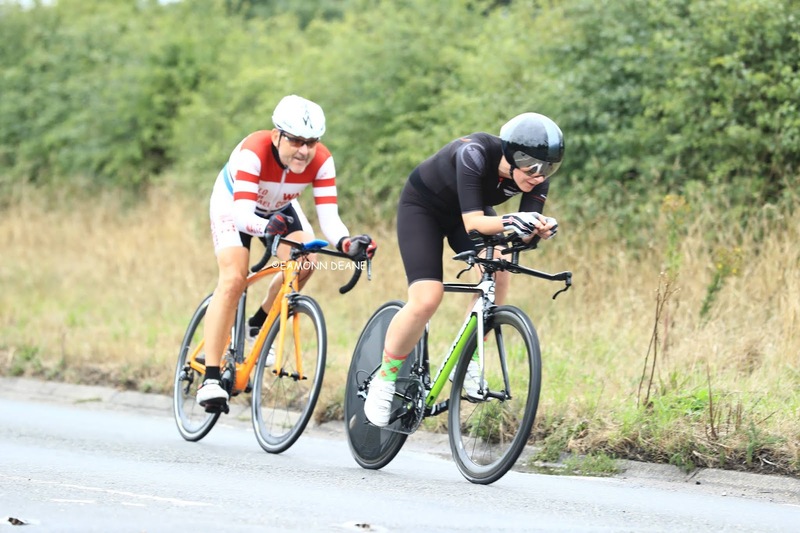 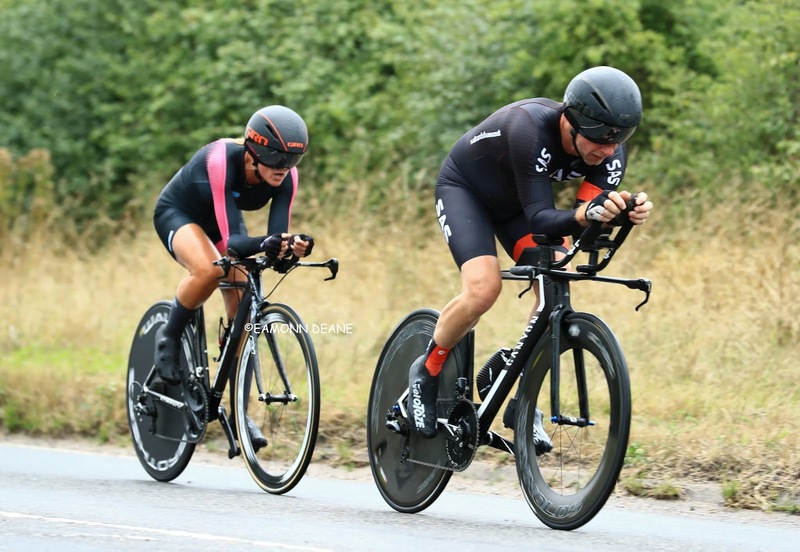 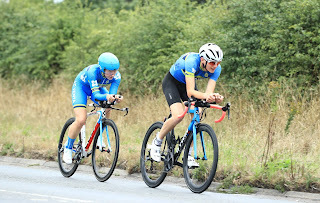 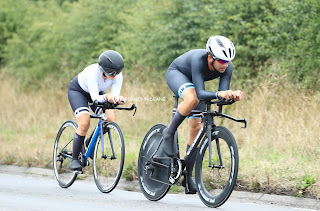 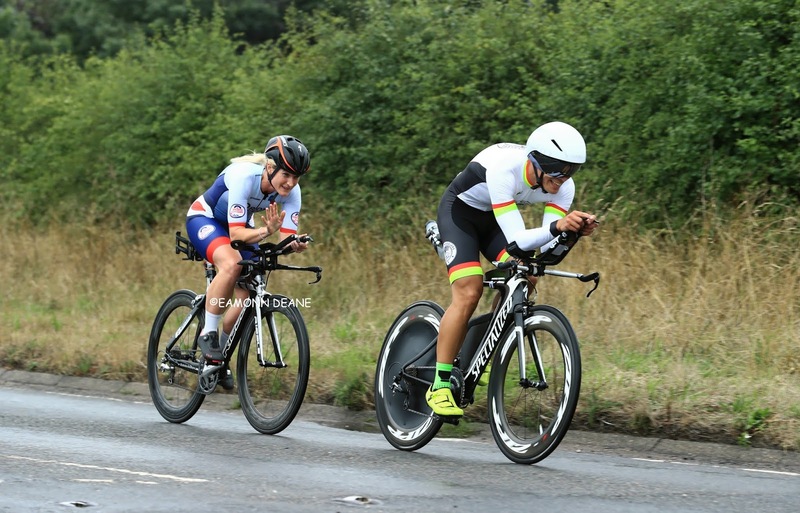 The 22 year old Finney & 26 year old Caldwell, from Portsmouth, finished 19 seconds clear of triathlete Naomi Shinkins towed by all-rounder Julian Lockwood. 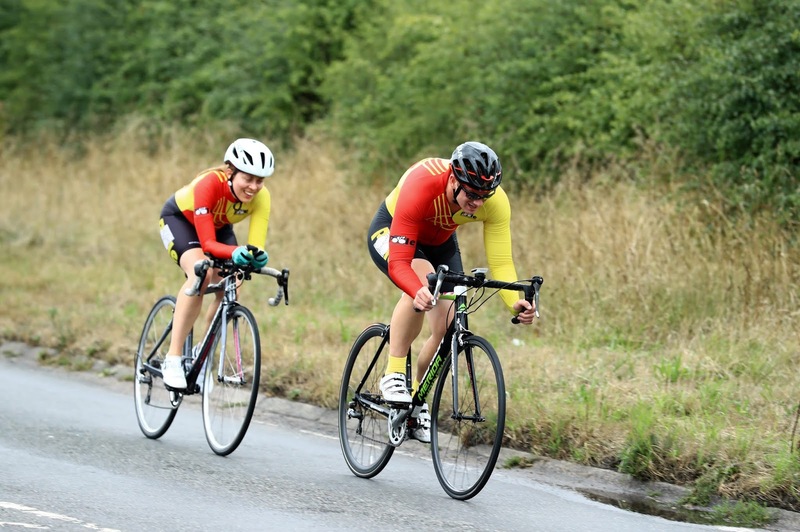 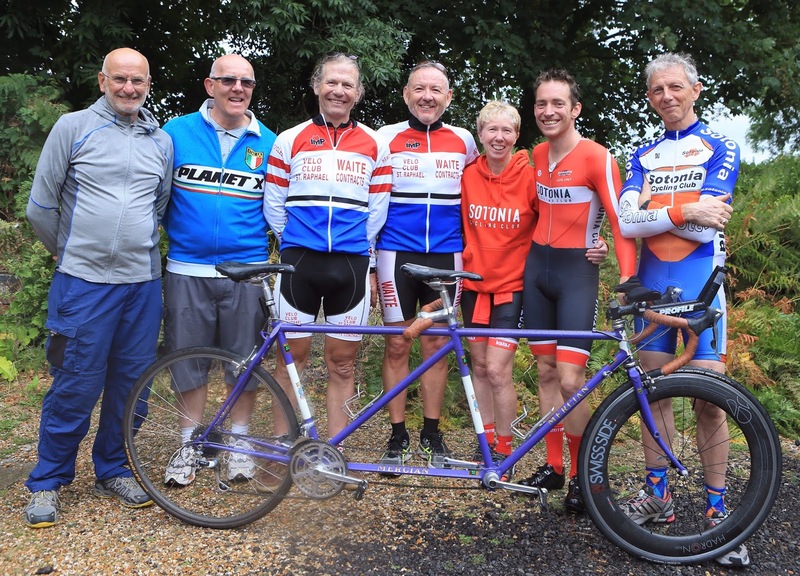 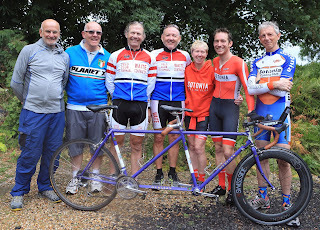 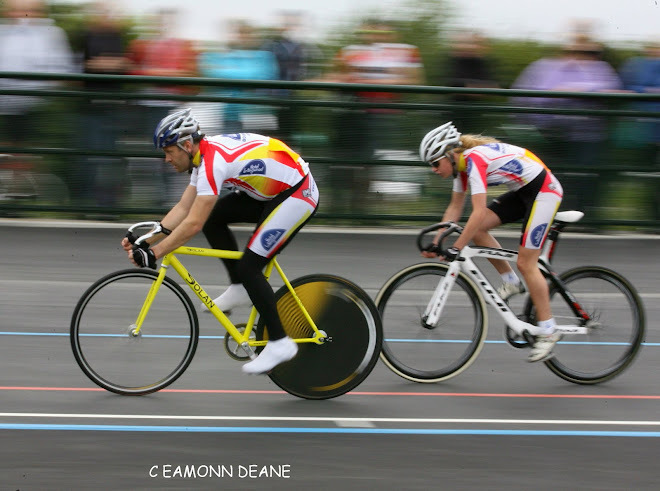 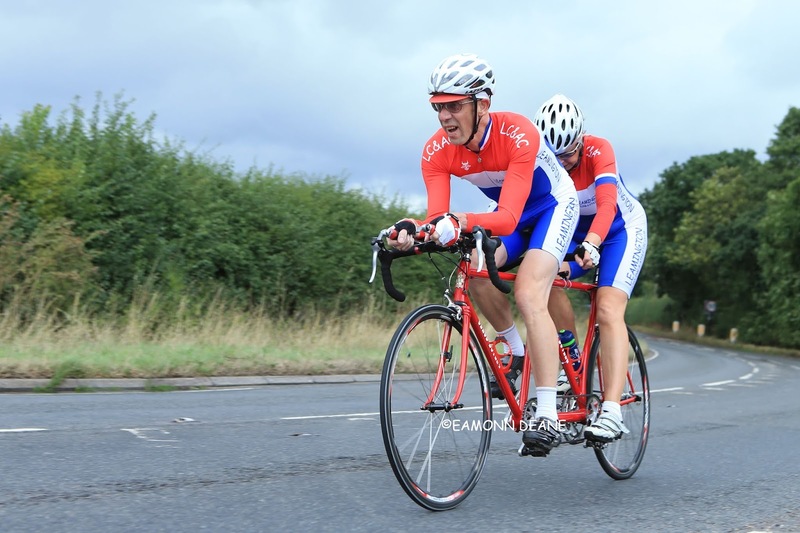 The Bournemouth Cycleworks/Primera-Teamjobs team taking second place, 5 seconds ahead of Kirsty McSeveney & Neil Mackley (Fareham Wheelers).